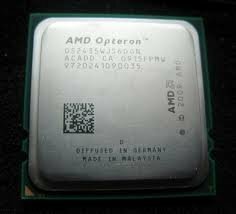 Description: AMD - OPTERON DODECA-CORE THIRD-GENERATION 6176SE 2.3GHZ 6MB L2 CACHE 12MB L3 CACHE 6400MHZ HTS SOCKET G34(LGA-1974) 45NM 105W PROCESSOR (OS6176YETCEGO). NEW BULK. IN STOCK. SHIP SAME DAY.